Our group is watching Shawn Bolz e-courses to help us learn to prophesy. As 1 Cor. 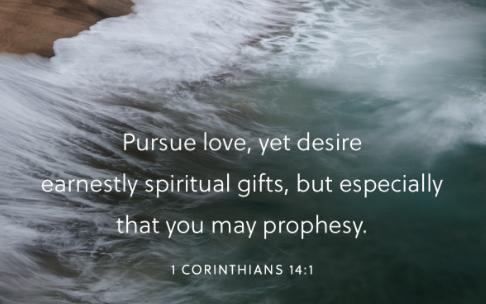 14:1 says we are to earnestly desire spiritual gifts--especially that we should prophesy. We decided it was about time that we took this admonition seriously. What an encouragement it is to the body of Christ to hear an encouraging word from the Lord! How exciting it is when He speaks through us to let others know how much He knows them and loves them! I hope you, too, are desiring to prophesy. If you live nearby, we would love for you to join our group. Call, text, or email me for info.